Power prices only ever seem to go in one direction, but the energy retailers will do almost anything to get you on board, which means there are opportunities to secure a better deal. While it’s always crucial to compare electricity plans on price, you may also find various other value-add incentives to sweeten a deal. These can be anything from online sign-up credit to ‘free’ movie tickets. It’s probably best not to be overly swayed by gimmicks, but if you find two comparable plans, these incentives can be a good point of difference. So, what sign-up incentives and special deals are available in your state? With the exception of regular conditional discounts and ‘double up’ discounts for getting both electricity & gas with the same company, Canstar Blue explores what other sign-up incentives and promotions are being offered around Australia. This page may not cover all deals available in your area, and please check retailer websites for up to date information. Here are some of the cheapest published deals from the retailers on our database that include a link to the retailer’s website for further details. These costs are based on a typical three-person household living on the Ausgrid network in Sydney, but prices will vary depending on your circumstances. We show one product per retailer, listed in order of price. Use our comparison tool above for a specific comparison in your area. Read on for further details on NSW retailers. These are featured products from referral partners. Our database may not cover all deals available in your area, and please check retailer websites for up to date information. Energy customers in NSW have a wide variety of different sign-up incentives currently on offer. Here is a selection of some of the promotions. These deals are current as of April, 2019. Simply Energy currently has multiple different sign-up incentives for customers in NSW. First and foremost, customers can receive credits of up to $100 for signing up for their electricity and gas online. NRMA members can benefit from an additional 16% pay on time discount off electricity usage charges with the Simply NRMA Plus plan, taking the total discount to 26%. Simply Energy also offers customers up to 16 Gold Class movie tickets at Event Cinemas with its Simply Gold Class Plus plan. A 10% pay on time discount is also available. And for lovers of AFL, Simply Energy is offering up to $480 ‘kick off’ credit over two years, in which a flat $10 credit applied to your electricity and gas bills every month for the duration of your contract. These are variable rate plans with two-year benefit periods, but no exit fees. Origin Energy is offering an extra 6% bonus on conditional discounts for signing up online to its Origin Saver product. The Saver is on a variable rate contract with a 12 month-benefit period, offering a 19% conditional discount off usage charges. There are no other current sign-up incentives. AGL customers who sign up to any AGL plan online in NSW will receive bill credits of $25 and $50 on its AGL Savers and AGL Solar Savers products respectively. With the AGL Essentials Plus plan, customers can expect to receive a $20 credit on their electricity bill every six months for two years. New sign-ups may also receive 10,000 flybuys points for, again, signing up online. EnergyAustralia offers $50 credit for new customers who sign up online. It’s only available for those signing up to its Anytime Saver plan – a variable rate product with a guaranteed discount of 22% off electricity usage charges, with a 12 month-benefit period. Alinta Energy is giving customers a chance to win a trip to the Ashes in the UK as an incentive to sign up to its Fair Deal and Fair Saver plans. You’ll need to sign up before the 20th of May 2019 in order to go in the draw to win one of five prize packs valued at over $10,000. In NSW, Momentum Energy is offering a $50 welcome bonus on its SmilePower Flexi plan, which is only applicable when new customers sign up on their website. Powershop encourages customers to sign up their friends, offering $75 credit to both parties when they do so. Existing customers can log into their online portal and invite friends to join. If they do so, $25 is applied to both customer accounts every month for three months. There is no limit on the number of friends that can be referred. CovaU is offering a $50 sign up credit in NSW when you sign up to any of their Freedom or GreenPower products. This applies to its gas plan too, where combined you could receive $100 off your first bill. Click Energy is giving new customers across Australia a $50 credit if they sign up through a referral from a friend. The discount is applied as a $25 bonus off the first bill, followed by an additional $25 after the first year. The referrer will also receive a $50 credit to their next bill. Diamond Power is giving new customers in NSW a $35 credit if they sign up through a friend referral. This ultimately benefits both the referrer and referee as the credit applies on both ends. QEnergy is also offering a referral deal, whereby new customers in NSW can receive $50 off their bill if they come on board through an official referral. The new customer receives the discount off their first bill, and the person who referred them receives it off their next bill. Red Energy currently has two plans available that will appeal to lovers of Qantas points. Sign up to the Qantas Red Saver or Qantas Red Plus plans and receive 10,000 Qantas points off the bat, as well as between two and seven points per $1 spent on your energy bills respectively. While these promotions sound tempting, it’s important to first compare plans based on standard prices and conditions. You can see how the retailers featured above compare to others on price with our NSW cost comparison report. Here are some of the cheapest published deals from the retailers on our database that include a link to the retailer’s website for further details. These costs are based on a typical three-person household living on the Citipower network in Melbourne, but prices will vary depending on your circumstances. We show one product per retailer, listed in order of price. Use our comparison tool for a specific comparison in your area. Read on for further details on VIC retailers. These are featured products from referral partners. Our database may not cover all deals available in your area, and please check retailer websites for up to date information. Households in Victoria have a similar list of promotional power deals as those in NSW, but with notable additions courtesy of Tango Energy and Lumo Energy. Here is a selection of promotions. These deals are current as of April, 2019. Simply Energy customers could be eligible to receive a $100 credit for signing up to both electricity and gas online, or $50 for signing up just to electricity. The Simply Gold Class Plus plan brings 16 free gold class movie tickets with Village Cinemas, in addition to its 30% pay on time discount off electricity usage charges. Simply Energy also has a specific offer for RACV members that provides an additional 15% member benefit discount, for a total of 45% off usage. And finally on the Simply AFL Plus plan, members could receive credits totaling $480, applied as a $10 monthly credits on electricity and gas over two years. Origin Energy has a similar deal in Victoria as it does in NSW, with an extra 5% discount off usage charges on the Maximiser and Saver products when you sign up online. The Maximiser plan comes with a total direct debit discount of 29% off electricity usage charges, while the Saver has a 25% discount (including the bonus). These are variable rate plans with a benefit period of 12 months. 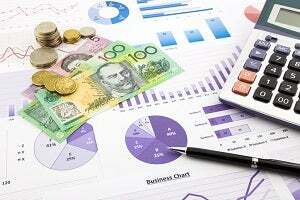 AGL is offering a bill credit of up to $20 every six months over two years on its Essentials Plus plan. On its AGL Savers, receive a $25 online sign up credit, and on AGL Savers Home Connect a free Amazon Echo Dot, valued at $79 RRP, for signing up online. With all of its plans, Victorian customers who register on the AGL website can also receive 10,000 flybuys points. EnergyAustralia also offers a $50 bill credit when new customers sign up online. But the offer is only available with its variable rate Anytime Saver product, which also comes with a 32% guaranteed discount off usage charges in Victoria. Receive another $50 credit for signing up to a gas plan online. Lumo Energy offers new customers a $50 credit off their first bill for signing up to the Lumo Basic, Lumo Value, Lumo Movers or Lumo Flix plans online. The Lumo Flix plans also offer new sign ups 2 for 1 HOYTS movie tickets from Monday to Wednesday, with up to three free tickets per transaction. Its refer a friend program will earn Victorian customers a $50 eGift card for both the new sign up and the person who referred them. New sign-ups to Alinta are encouraged to enter the drawer to go in to win one of five prize packs valued at over $10k. The prize is a trip to the UK to watch the Ashes this September for two people. You’ll need to sign up before May 20 to enter. Momentum Energy is offering a $50 welcome bonus on the SmilePower Flexi, Move Mate and Solar Step-Up plans for customers who sign up on its website. This bonus is applied to the new customer’s first bill. As in NSW, Powershop offers $75 credit when customers refer a friend to the retailer. Both new and existing customers will receive the bonus and there is no limit on the number of friends that can be referred. Red Energy has two plans available for Victorians who love Qantas points. With the Qantas Red Saver and Qantas Red Plus plans, customers will receive 10,000 Qantas points on sign-up, with an additional 5,000 available to those that also choose Red Energy for their gas. Click Energy new sign-ups receive a $25 sign-up bonus, as well as an additional $25 credit after the first 12 months if they sign up via a friend referral. Click Energy also gives existing customers and new sign-ups alike the chance to earn a $50 credit off their own bill for signing up their friends and family. Diamond Energy’s new customers can receive $35 off their first bill if they’ve been referred by a friend, benefiting the person on the referring end, as they receive the same amount off their next bill. Much in the same vein, QEnergy is giving a $50 referral credit to both new customers and the person who referred them, applied onto the first and next bill respectively. Victorians are well-accustomed to headline-grabbing energy promotions, but it’s still worth saying that consumers should compare plans based on price before thinking too much about extra incentives. However, some promotions will have a direct impact on costs, so it’s definitely worth paying attention to what’s on offer. Compare the providers mentioned above to others in the state with our Victoria price comparison report. Here are some of the cheapest published deals from the retailers on our database that include a link to the retailer’s website for further details. 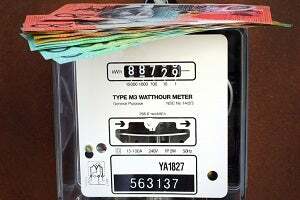 These costs are based on a typical three-person household living on the Energex electricity network in Brisbane, but prices will vary depending on your circumstances. We show one product per retailer, listed in order of price. Use our comparison tool above for a specific comparison in your area. These are featured products from referral partners. Our database may not cover all deals available in your area, and please check retailer websites for up to date information. 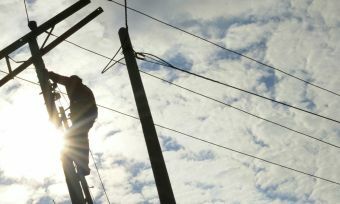 Queenslanders have become spoilt for choice when it comes to electricity retailers, with some offering a little extra to sweeten the deal. Here is a selection of promotions. These deals are current as of April, 2019. Simply Energy currently offers RACQ members an additional 11% discount off electricity usage charges with its Simply RACQ Plus plan. This brings the total discount to 21% off for paying bills on time. On the Simply Movies Plus plan, customers get 16 Event Cinemas movie tickets upon sign-up within a 24-month benefit period. Or for sport fans, Simply Energy’s AFL Plus plan can help customers save up to $240 off their bills, applied as a $10 monthly credit. Origin Energy offers new customers an extra 4% off electricity usage charges on the Maximiser and Saver plans when signing up online. In QLD, these discounts come to 20% and 18% respectively once you include the bonus. On its Origin Smart Saver plan, you’ll instead receive a HQ Energy Starter Kit valued at $299, which helps you see how much energy your appliances use and lets you switch your lights on/off remotely. AGL offers a $50 credit for new customers who sign up online to the Solar Savers plan. Those that go for the AGL Essentials Plus product will receive a $20 credit every six months over the span of two years. Customers who switch to AGL online can also receive 10,000 flybuys points, regardless of the plan. EnergyAustralia also offers a $50 credit to customers in Queensland who sign up online to the Anytime Saver. The Anytime Saver also comes with a 26% guaranteed discount your usage charge. If you sign up to Alinta Energy‘s Home SaverPlus and Fair Saver plans in QLD, you’ll go in the draw to win a trip to see the Ashes in the UK, that is valued at over $10,000. This is only available until the 20th of May 2019. Powershop is giving existing customers the chance to earn $75 credit when they refer a friend to the retailer. Both the new and existing customers will receive the bonus credit and there is no limit on the number of friends that can be referred. Powershop claims one customer has earned close to $4,000 off their bills simply by referring friends to the retailer. Similarly, QEnergy is offering a $50 referral credit to both new customers and existing referees for initiating a switch to the provider. There is often not much difference in price between retailers in Queensland, meaning any extra incentives can prove a helpful point of difference when comparing plans and providers. Nevertheless it is still important to review standard prices to get an idea of what you can expect to pay long after the promotion has gone. Here are some of the cheapest published deals from the retailers on our database that include a link to the retailer’s website for further details. These costs are based on a typical three-person household living on the SA Power network in Adelaide, but prices will vary depending on your circumstances. We show one product per retailer, listed in order of price. Use our comparison tool above for a specific comparison in your area. Read on for further details on SA retailers. These are featured products from referral partners. Our database may not cover all deals available in your area, and please check retailer websites for up to date information. South Australians get a bad energy deal when it comes to standard prices. They also currently have few extra incentives to consider when comparing plans. Here is a selection of what’s available. These deals are current as of April, 2019. Like in NSW, Victoria and Queensland, Simply Energy gives new South Australian customers something to think about with specific offers for RAA members, cinema lovers and sport fans. The Simply RAA Plus product brings an additional 15% discount for a total of 25% off electricity usage charges. The retailer also offers 32 traditional or 16 Gold Class movie tickets with Event Cinemas through its Simply Movie Plus product. Simply Energy offers a regular $10 a month credit for new joiners on the Simply AFL plus plan, totalling a potential $480 over two years for customers who sign up for both electricity and gas. These plans are all variable rate plans with two-year benefit periods, but no exit fees. You’ll also get a first bill credit of up to $100 when signing up to electricity and gas with this provider online. 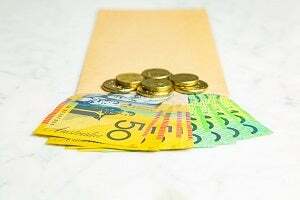 South Australians often miss out on bonus sign up credits from the big retailers, but not this time. EnergyAustralia gives its new Anytime Saver customers a $50 credit towards their first bill when they sign up online. The Anytime Saver also includes a 20% guaranteed discount off usage charges. Customers who sign up to AGL in South Australia will receive 10,000 flybuys points as a new member incentive. The AGL Essentials Plus plan also offers a bill credit of $20 every six months for two years in total. AGL is also offering a sign-up promotion on its Savers Home Connect plan – a free Amazon Echo Dot (valued at $79 RRP), but this is only available when you join online. Origin Energy is giving its SA customers an extra 4% bonus off usage charges when signing up online. This offer is available to new customers on the Origin Saver plan. IT has also started offering a bonus Smart Home Kit valued at $299 when you sign up online. This helps customers optimise their energy efficiency. Lumo Energy is offering a $50 bill credit to those signing up to the Lumo Basic, Value, Movers or Flix plans in South Australia. Like in Victoria, you can also receive 2 for 1 HOYTS movie tickets from Monday to Wednesday upon signing up to on of their Lumo Flix plans. Customers can also earn a $50 eGift card for signing up with a referral code. Alinta Energy is providing its customers and new sign ups the chance to win a trip to watch the Ashes in the UK later this year. You’ll need to sign up to either its Fair Deal or Fair Saver products in order to enter the competition. The competition closes on May 20. Red Energy is a provider offering great sign up incentives to those who can’t resist rewards points. On the Qantas Red Saver and Red Plus plans, new electricity sign-ups will receive 10,000 Qantas points and an additional 5,000 for signing up for gas. SA residents looking to switch to Diamond Energy can cop a $35 credit off their first bill by signing up with a referral code. Once successful, the friend who supplied the referral will also receive $35 off their next bill. Powershop customers in SA can also receive a $75 sign-up credit when referred through a friend. This is applied in monthly instalments for 3 months. We all love a bonus, but don’t let that allure you into a bad energy deal. See how South Australia electricity retailers compare with our price comparison table. What’s the deal with energy promotions? Perhaps the most obvious trend to emerge from this review is that most promotions are only available online. While this is great for web-savvy consumers looking to compare the best deals, it’s not such good news for those who aren’t able to go online, or find the idea of comparing plans too daunting. It’s hugely important not to get too carried away with promotions and to compare plans based on their standard pricing and conditions first. If you find two similar products and can’t decide between them, then incentives are worth considering to sweeten the deal. TAS: Costs based on annual usage calculations using statistics from AER for a three person household on the TasNetworks electricity network in Tasmania, April 2019. For more information on annual cost calculations please click here. Annual cost estimates exclude solar payments. Feed-in tariffs shown are single rate only. Solar products may only be available to solar customers and some products may only be available to customers who purchase solar PV or other products through the retailer.